there are over 65,000 English teachers working in Japan! Click here for our job posting page to find the latest work available in Japan. 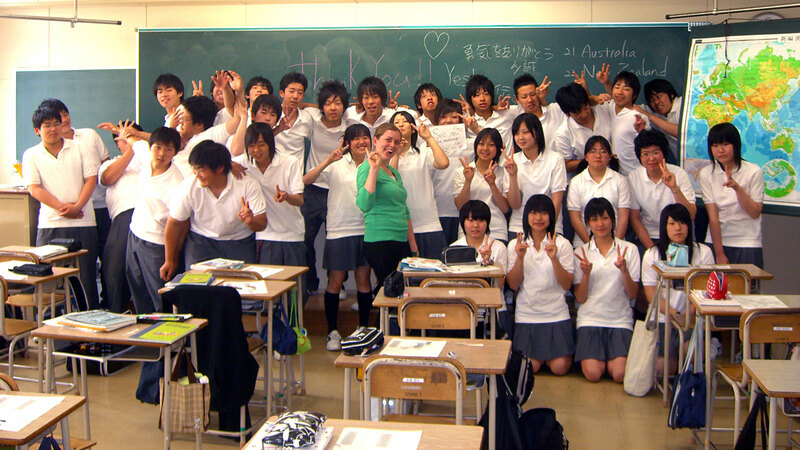 Teaching in Japan can be a ton of fun or your worst nightmare. Preparation, and knowing what to expect makes all the difference. Keep in mind the experience is what you make it. And more importantly, despite what you may have read elsewhere, it’s not a paid vacation or a get rich quick scheme. Deciding if you will go to Japan with or without a work lined up is the biggest. Why? Because some of the toughest challenges like finding a job, accommodations and a guarantor get taken care of by the company who gives you the visa. Preparation, risk and money wise, it’s the easiest way to go. So the competition for these jobs is high. Despite the fact that work is easier to find once you arrive; there are financial risks in proceeding this way. So you need to weigh carefully the pros and cons and then proceed according to your demeanor and pocket book. We’ve outlined the steps to getting to Japan with and without a visa below. The most important key to success in getting a job in Japan especially for those who go without a job lined up is preparation. You can go broke in no time if you’re not prepared. If you absolutely must have a guaranteed situation i.e. an apartment and job waiting for your arrival, then you will be applying to large schools or chain schools. These are the big hitters in the eikaiwa (English conversation) world. They made the industry. Several of them will hire you from your home country. Note: here we are not talking about teaching English at an university or other higher paying teaching jobs. We are talking about entry level ESL jobs. So who are these big hitters offering jobs in Japan from home? For starters, the Jet Program, a government run operation which offers better pay than most entry level teaching positions is one of the most sought after ESL teaching jobs out there. The Jet Program hires ESL teachers to assist teaching junior high school and high school children in learning English. Competition is pretty stiff and the application procedure is far from being a picnic. The next stop on the government run train of getting jobs in Japan are the ALT English teaching jobs. There are 2 paths here. The first path is being hired directly by the school itself. Again just like the jet program, Alt's teach junior high school and high school children. Along side the Japanese English teacher or JTE. The first path is a better deal salary wise - generally 200 USD or so more per month. The second ALT path is to be hired by a middle man or dispatch company. These companies are between you and the school you actually work for. They pay about 200 USD or so less than being hired directly. That 200 USD that you don't have in your pocket is in theirs. But other than that both of these paths are basically the same. If this is how you want to proceed, the game of finding jobs in Japan is won by persistence. Remember you’re looking for a sure thing, so the size of the pond you’ll be fishing in will be small. You’ll be looking for English schools that will sponsor you so you can get a working visa and accommodations. Constantly looking at want ads and applying for teaching positions will be critical for lining up jobs in Japan fast. Some information you’ll find will tell you it’s impossible. It isn’t. It’s just harder. But times are changing and more and more of these larger schools, actually most, will not only recruit from overseas but will do so on an on-going basis. One of the biggest keys to success besides a well-written resume is timing. (If you're less than confident about your writing skills, have a pro do it. You can also take a look at our resume page for a guide on how to build a winning resume step-by-step by avoiding common mistakes. The last path to finding work as an ESL teacher is to blast out resumes or complete on-line applications to privately run English schools. Some of these schools are fairly large. They may have just 10 or 15 locations or quite a few more. Because of their relative size they can sponsor teachers looking to teach ESL and get you set up with a working visa. Then their are the larger ones like Coco Juku, Gaba and Peppy Kids Club. These schools have many more locations some nearly 100 or so. And some of them considerably larger. These larger chains will recruit from overseas and provide sponsorship so that you can get your working visa which is usually a Japan Specialist in Humanities visa. More commonly called a teaching visa. You can increase the chances of getting your first job by applying at the right time of year. The hiring frenzy begins in February and March so it’s important to start things well before this. The whole hiring and visa process will take several months so you need to work on finding jobs in Japan in early spring. If you miss this window does it mean that you wait a year to get a job in Japan? No. It means you need to intensify efforts or go without one. Also keep in mind that many large English schools like G. Communications/ Nova Holdings and Aeon recruit throughout the year so even if you miss the early spring window, you’ll still be ok.
1. Start by applying for your passport. Here's the link to the U.S. passport agency. i-to-i is widely recognized and also offers free teacher placement services throughout Japan. They have over 8,000 school contacts at their fingertips to place teachers in jobs. Most of the jobs they find for their teachers aren't even advertised. All in all, this lends a big advantage over those who don't know of these jobs. 3. Start studying Japanese. Is it mandatory for finding jobs in Japan? No. Does it make living in Japan more fun and fulfilling? Yes. 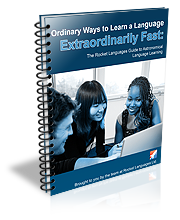 We've put together some basic Japanese lessons to help you hit the ground running. Click here for our Japanese lesson index. 4. Write your resume and cover letters or have them written for you by some pros. Also start writing a theme on why you want to go to Japan and a short letter of introduction. Employers like the Jet Program etc. often ask for such letters. It’s handy to have something prepared ahead of time. Also line up your personal references – schools often ask for them. 5. Begin your internet search for jobs in Japan. Be sure to check out our job posting page to find the latest work available in Japan. Also, check the Monday’s edition of The Japan Times and don't forget to visit Ohayo Sensei as they have many job postings too. 6. After your employer agrees to hire you, they will apply for your Certificate of Eligibility on your behalf and send it to you once Japan Immigration sends it to them. 7. Start shopping for cheap airfare. Check out Travelocity, an industry leader for a reason. (Large schools, Nova Holdings, Aeon, ECC, Berlitz etc. won’t pay for your flight over. Major bummer. The industry has changed and is glutted with teachers. 8. Once you receive your Certificate of Eligibility from your employer, you need to take it to your local consulate to get your visa stamped in it. A fairly painless process that can be accomplished in one afternoon. 9. Book your flight Check out HIS travel they often have good deals. And make sure you’re not arriving on a Japanese holiday. If you do, you may find it hard to be met at the airport. 10. Pack your belongings. Click to get the lowdown on what to bring. 11. Prepare for your flight. See our tip sheet on baggage requirements, dealing with jet lag and more. Do You Have a Question That You Can't Find an Answer to About Jobs in Japan? Many out there have similar questions about finding jobs in Japan, teaching qualifications, visas etc. You name it and we get them via e-mails. Post your question and we'll respond. And the great thing about it is others can post their similar comments and questions too. So more people can find answers faster. A win-win situation folks for everyone! Help us to help you by leaving your first name and the country you are a citizen of as this helps us give YOU accurate information on visas. TIP: Since most people scan Web pages, include your best thoughts in your first paragraph. Everyone is short on time guys. Fire your big guns first! Click below to see contributions, question, worries from other visitors with questions about finding jobs in Japan. Everyone has a different story to tell or a question to ask from a different part of the world about experiencing Japan. I Have a Bachelor's Degree in Social Work, Will This Help or Harm Finding a Job in Japan? Working in Japan with only a Diploma and TEFL Certification. Is it Possible to Get Hired From Outside Japan? Is a Minor Health Condition a Problem For Teaching in Japan? What bachelors degree is recommended to have before getting TESOL certified? Is it better to get a bachelors degree or just the TESOL certification? What bachlores degree is recommended to have before getting TESOL certified? Is it better to get a bachlores degree or just the TESOL certification? I know you need a bachelors degree to get a job in Japan but what would you say would be the most helpful to get? If you're are a fluent non-native English speaker, will you stand a chance in finding a job as a teacher in Japan? What's the average age of English teachers? Am I to old to teach ESL in Japan? What are my Chances to Find a Job and Work in a Japanese city? May I know the age limit of the applicants for a teaching job in Japan as an ALT? Is it possible for married couples to teach in Japan? How do I even get started teaching in Japan? How would i start teaching English in japan, like what do I do to begin? How can I take my wife to work with me?